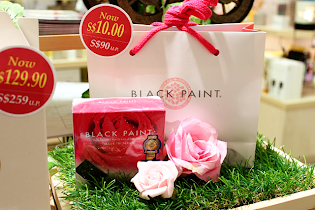 Yesterday evening, I was in town to get a gift for a friend and decided to pop by Black Paint's booth in Takashimaya. I reviewed 3 of the products back in June and you can read it here. 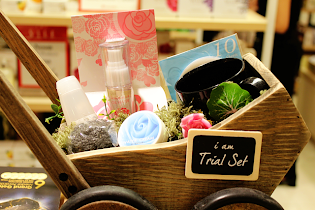 I love how simple and fuss-free the skincare regimen was! 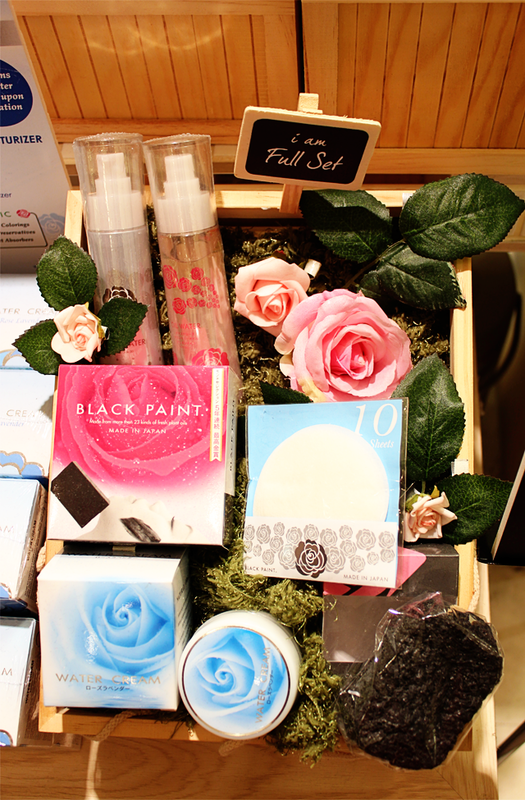 And best of all, Black Paint products are natural and made from organic ingredients. They are also free from alcohols, paraffin, synthetic preservatives, fragrances, colourings, ultraviolet absorbers and anti-oxidants. What you apply onto your skin is so important! 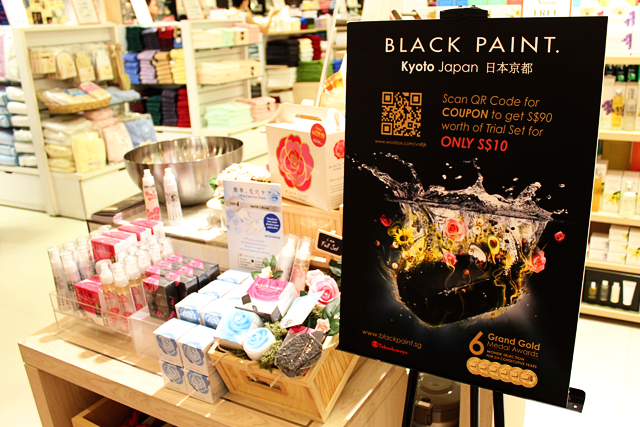 The booth will be at Takashimaya's Basement 1, near the aromatherapy shelves, till July 24th (This Thursday!). Do drop by if you are around the area, and especially if you are looking for solutions to battle acne, blackheads, wrinkles and pigmentation. The booth is currently mended by 2 very friendly and cheery girls, who will be more than happy to do a demonstration of this back-to-basics Japanese skincare regimen. They make up a quick 4-step skincare regimen, which is perfect for the busy people. Here's a preview of the demonstration! 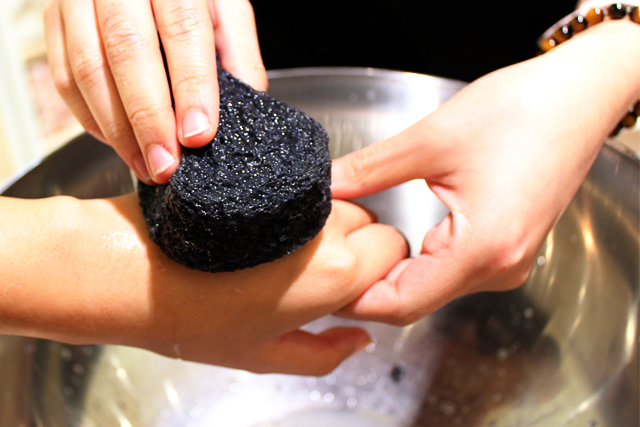 This pore-cleansing facial soap cleanses pores deeply by playing with our skin's pH. It is slightly alkaline to trigger our naturally acidic skin to release more acid to balance the pH. When this happens, the acid pushes the dirt out from our pores. This soap just won another year of the highest ranking Monde Selection Award 'GRAND GOLD'. This will be its 6th consecutive year winning this prestigious title! This 100% natural facial sponge enhances absorption ability, while removing excess oil and dead skin cells delicately. I didn't review this but I have tried other Konjac sponges and they make really gentle exfoliation tools. Do remember to hang them to dry properly so that they last longer! This pore-minimizing toner sinks into our skin deeply for instant hydration and preservation of moisture balance, compensating for the loss of water after cleansing. 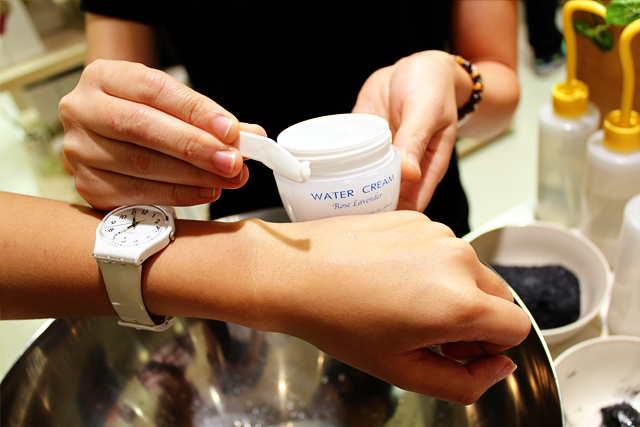 Overtime, it helps improve our skin texture and minimizes pores. 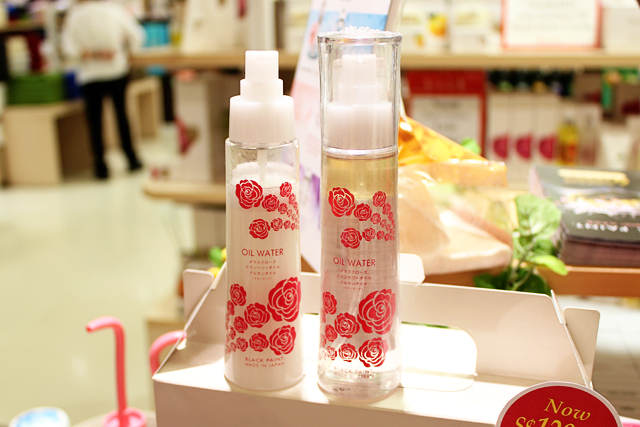 This lotion has precious rose oil sitting atop rose water. It regenerates, protects, soothes, and softens our skin, keeping it soft and supple. I only got to try this at the demonstration. It didn't feel heavy and sank into my skin after a while. Remember to shake the bottle thoroughly to mix the 2 layers before using it! After shaking, it should look milky... Just like the first bottle in the first photo. 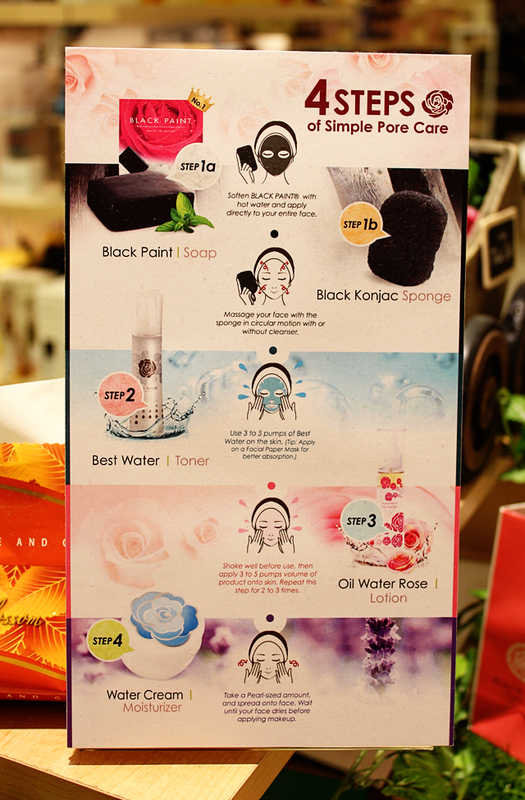 Also, the full set of the Black Paint skincare regimen (Yes, they are all full-sized products!) is going at $129.90, instead of the usual $259! If you do the Math above, you will know that this promotion is really value for money.